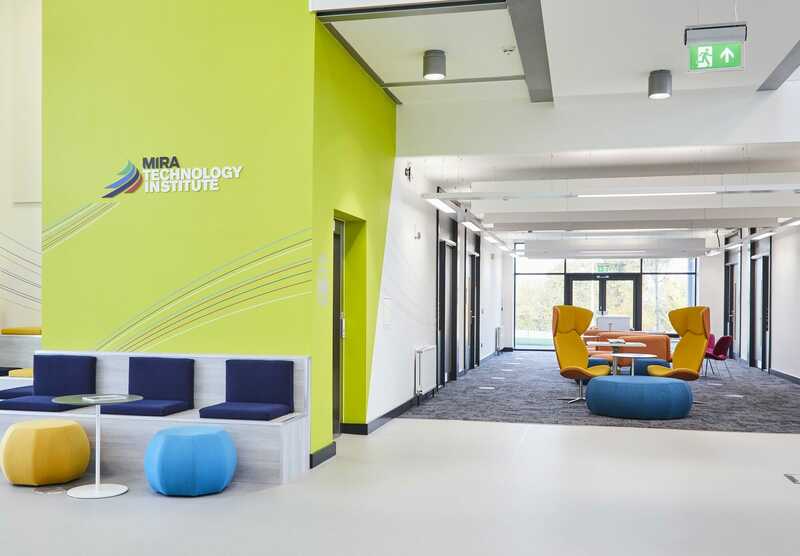 The MIRA Technology Institute (MTI) is a new build teaching facility opened in 2018. MTI delivers specialist skills and qualifications to industry leaders, engineers, technicians and other professionals working, or aspiring to work, in the automotive sector. MTI is built within the grounds of the MIRA Technology Park. It was funded through a £9.5m grant from the Leicester and Leicestershire Local Enterprise Partnership (LLEP) Local Growth Fund with contributions from its partners; North Warwickshire and South Leicestershire College, along with HORIBA MIRA, Coventry University, Loughborough University and the University of Leicester. A central focus for this project was the MTI branding. 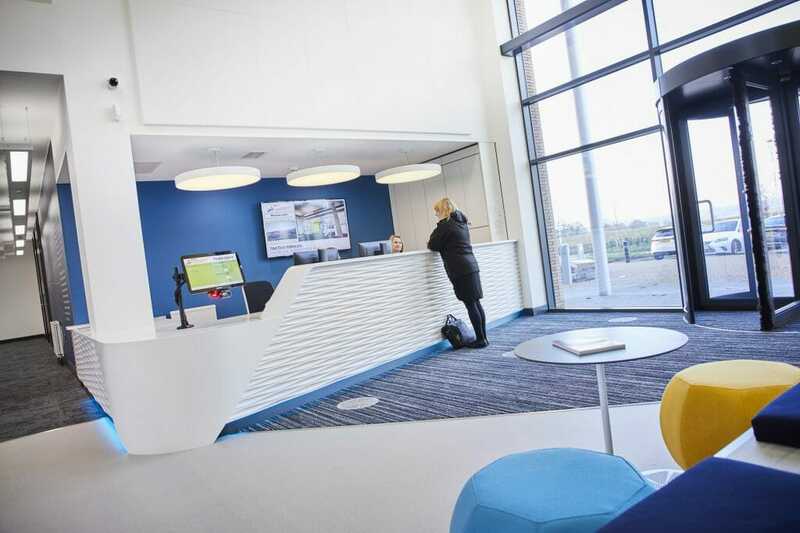 It reflects the values of the partners involved, so our brief was to plan the interior design and fit-out so that the aesthetics throughout every area of the building matched these core values. MTI also wanted the new design to reflect the broad range of uses for the building, and the different styles of training that would be delivered in it. 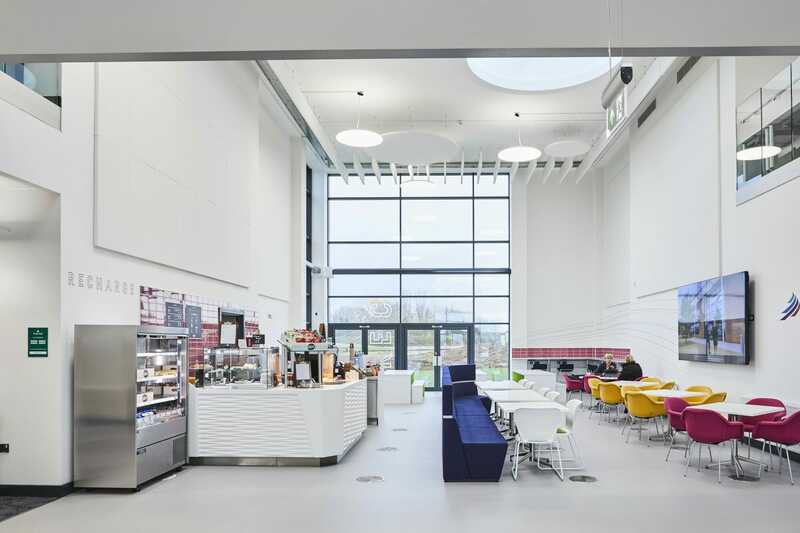 The scope of the transformation included the main reception foyer, classrooms and teaching facilities, automotive workshops, communal lounges, cafeterias and other workspaces. 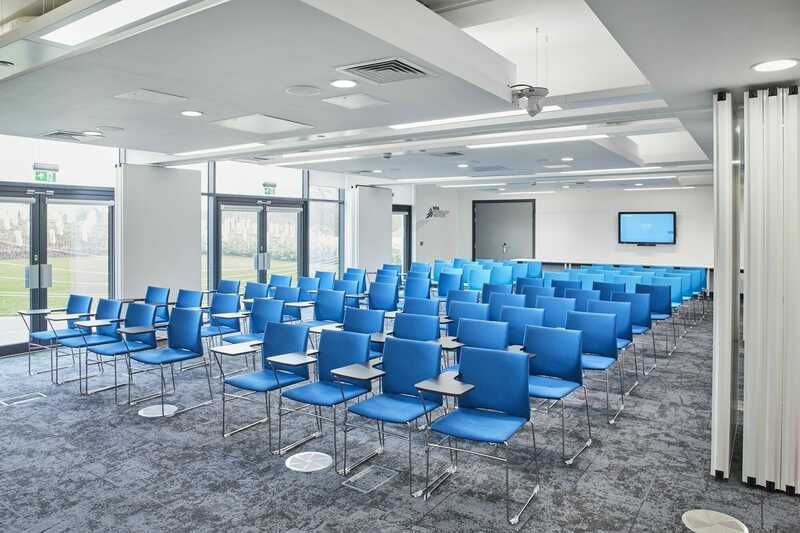 As a leading-edge teaching facility, with access to the latest automotive equipment, the MTI building needed to visibly look the part of a modern teaching facility, feature the latest technology and, most importantly, inspire students to learn! Initially, we held workshops with MTI stakeholders so that we fully understood the various uses of the building and could ensure the teaching facility design worked for these uses. Our team then put together animated 3D video walkthroughs so that all of the partners could visualise the finished design. 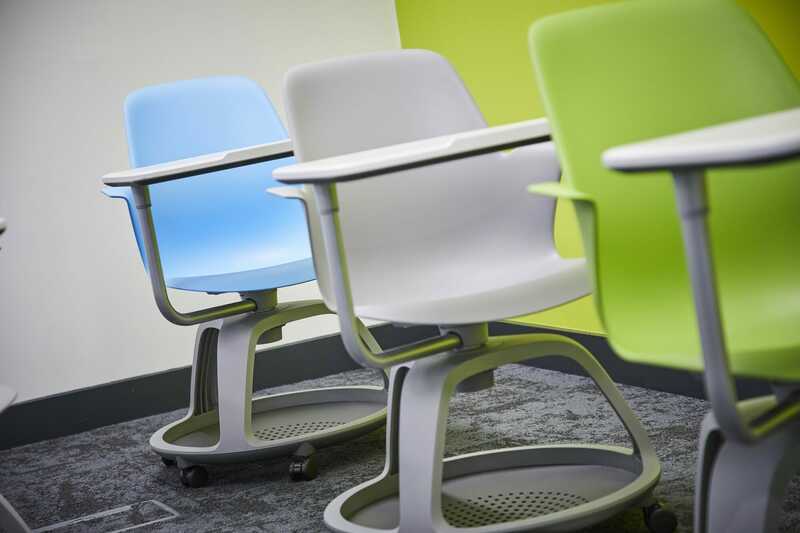 Ready to create an engaging learning environment? With 24,500 sq.ft of space to navigate, a key aspect of the design was to make each area clearly identifiable so that students could quickly locate them, and staff could easily explain directions to new visitors. We used a colour coding system to achieve this, which also reflected MTI branding. 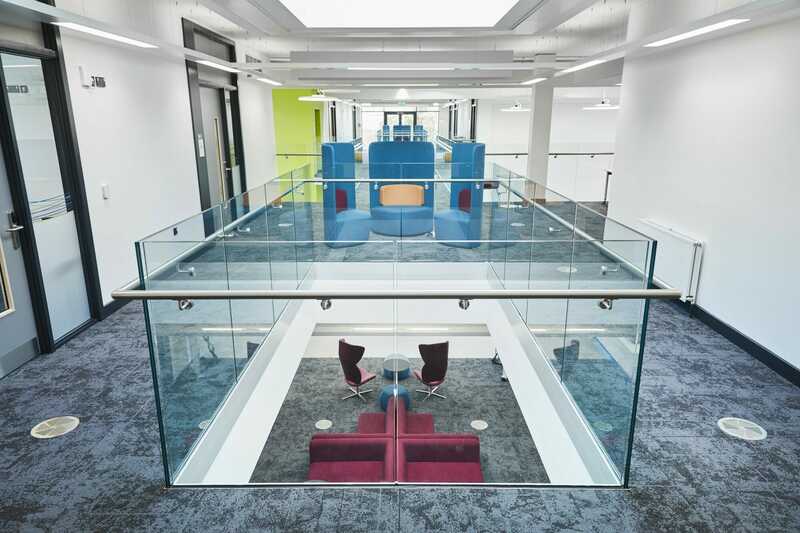 At the fit-out stage, our team took on the project management of all contractors. 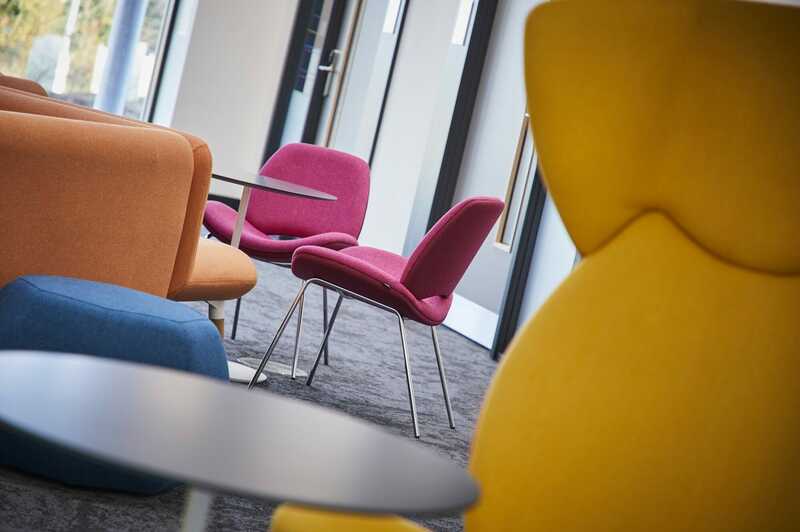 From signage companies who were applying vinyl logos and inspiration quotes to feature walls, M&E contractors and decorators, and co-ordinating the supply of acoustic furnishings, biophilics, ergonomic furniture, classroom technology, charging points, AV and teaching aids. It is a great satisfaction to everyone involved to see the building being used in the way we envisioned. Blueprint were a great team to work with, they were very friendly and co-operative. They worked seamlessly with all contractors and project managed everything perfectly so that we had one point of contact. This also involved working to a very tight budget and short timescales. 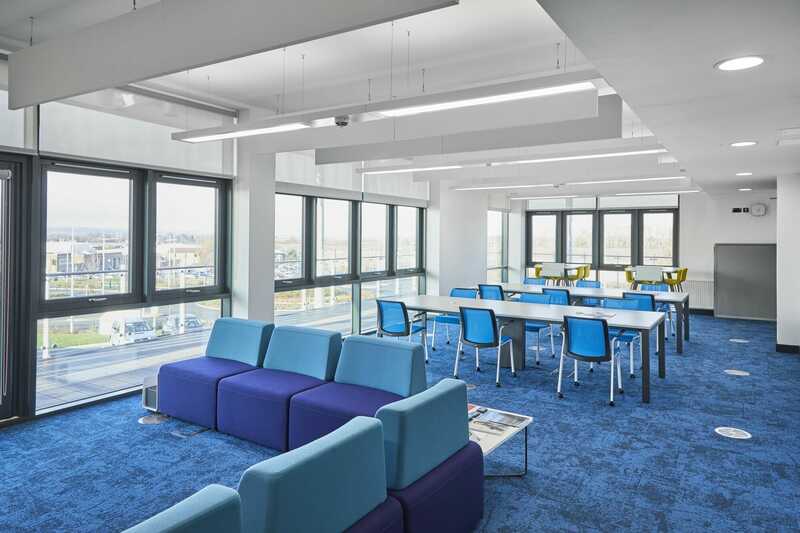 The design is so inspirational, students say they benefit enormously from studying in such an impressive environment and everyone is very proud of our new state of the art facility.